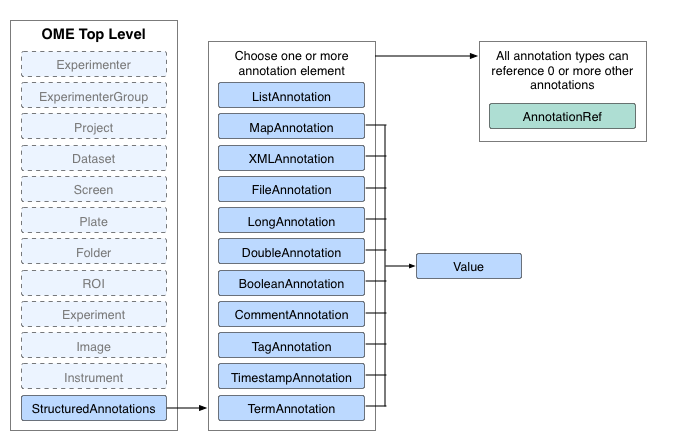 Structured annotations (or SAs), introduced in the 2008-09 schema, are a general way to extend OME-XML with additional structured information. They can express a variety of data types and linkages, and serve as a replacement for the Custom Attributes and Semantic Type Definitions functionality of prior schemas. 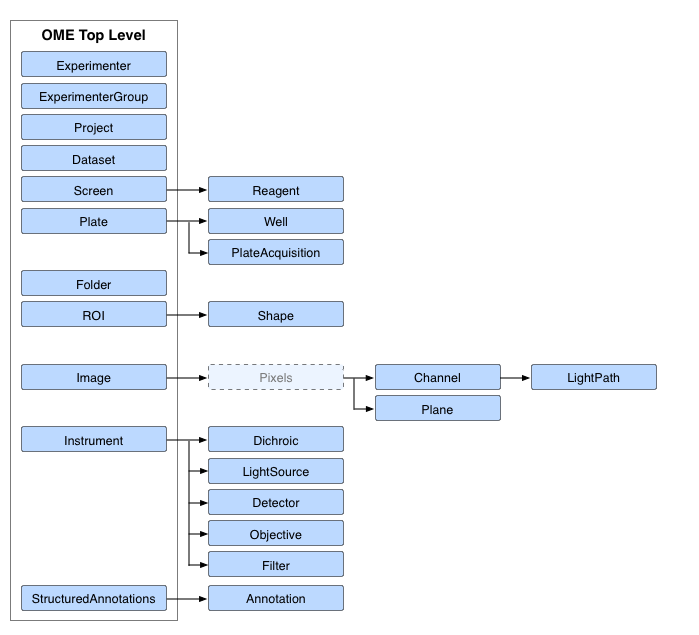 For more information on SAs from an OMERO-centric perspective, see the OMERO page on structured annotations. The structure of the SA used in the schema is shown below, along with all the possible attachment points in the model.